Rhonda Rousey may be done fighting for good due to her recent fallback after losing two consecutive fights in a row, throwing off her undefeated career in front of millions of people. After being knocked out by a punch to the face delivered by Amanda Nunes in just a 28 second fight, the future for Rousey remains uncertain. This was the first fight that Rousey had participated in after taking a break from the ring for a year as a result of her last knock out against Holly Holm during the UFC 193 event back in November of 2015. In a fight that she was heavily weighted to win, this not only ended her undefeated title but it also seemed to have drastic effects on Rousey’s emotional health. UFC president Dana White spoke out during an interview where he explained that if he had to guess right now, Rousey is likely done fighting for good. She is likely going to “ride off into the sunset and start living her life outside of fighting.” After seeing the effect of her last loss, this seems likely. White went a little further when he explained why the loss to Holm had such a huge impact. Rousey’s invincible career meant everything to her, and that record was her pride and joy. When she lost it woke her up a little bit and she began to question why she was letting this control her entire life. She was missing out on so much to focus all of her energy on training and fighting and keeping her win rate unstoppable. 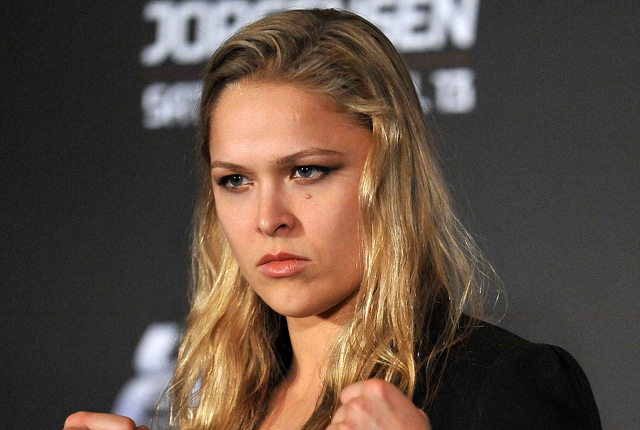 At this point, after a second consecutive loss, Rousey may hang up her gloves for good. She has earned more than enough money in her career to live the rest of her life comfortably. White described her as “not a big spender” and explained that she already has a nice home in Venice, California. If she is no longer wanting to fight in the ring, there really is no incentive for her to stay. In the end it will come down to Rousey’s decision and we will have to wait and see.